We all understand the concept of boxing and unboxing in C# but type casting is a bit more complicated and we do have more than one option to accomplish it. I am going to call the type casting without any keyword as standard type casting. Below is a code example of one of the ways of doing it right. It is apparent from the code that the object we are trying to cast to typeof Person is not actually a person and hence will be unsuccessful, so we are prepared for it by catching the InvalidCastException. This is exactly the problem when using the standard type casting. As we can see from the code above, we used the as keyword to type cast and since the obj1 was is not of the type Person we will get back null as the result of the cast. I know. The next question one would ask as to why is better than catching an exception since it is almost the same amount of code? There is one catch while using the as keyword though, the as keyword only works for reference types or nullable types, which is understandable since it either returns the casted object or null and there no option to return null in case of failure for non nullable type (value type), it can’t be used there. In summary, we should try to use as wherever possible as checking for null is definitely preferred as compared to throwing an exception, however if we must use type casting we should catch the specific InvalidCastException for better performance. Any questions, suggestion or feedback is always welcome. 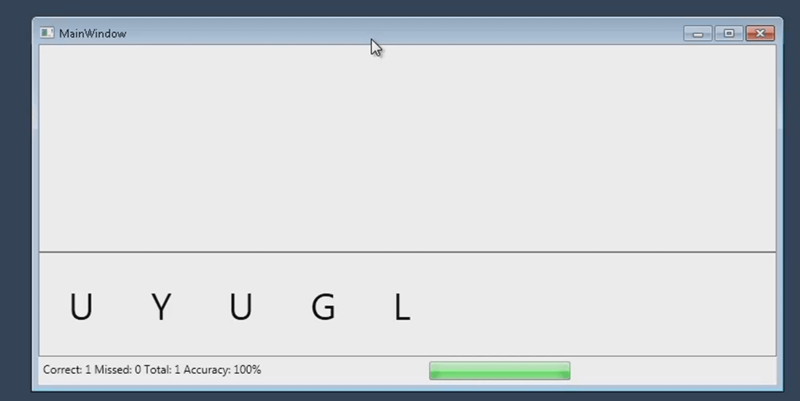 I have developed a simple CSharp application that gives you random characters to type and records the key presses and also increases the speed of the letters that come for typing. 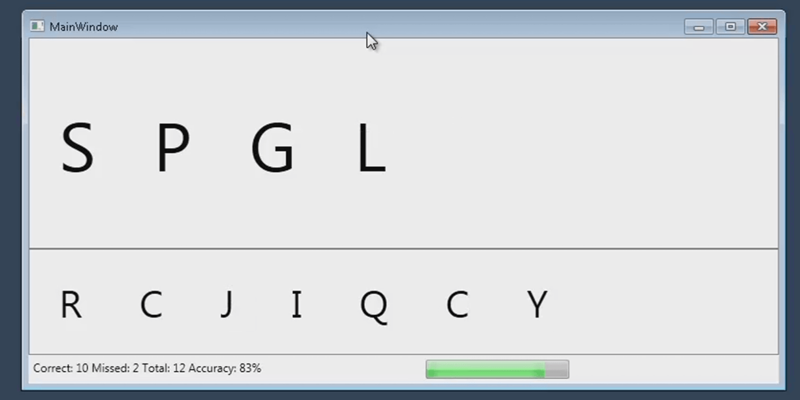 Have a look at the sceenshot of the app and also the video below. The source code of the application can be found here.